To accommodate working families and provide structured extracurricular activities for students in grades K-8, Currey Ingram Academy offers an in-house afterschool program with a new name: Boost. The program is now overseen by Director of Summer Camps and Afterschool Programming Eric Vinson and Assistant Director of Summer Camps and Afterschool Programming Oren Goldring. 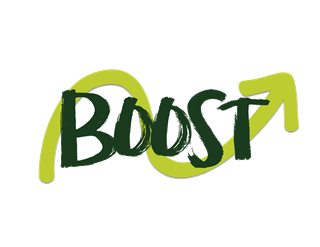 In two locations (grades K-4 in John Rivers Ingram Hall and grades 5-8 in Eskind Hall), Boost provides afterschool care, as well as supervision for students in study hall, enrichment activities and clubs. Students engage in a variety of activities that may include board games, reading and writing activities, building activities, art activities, and indoor and outdoor games. Students may also enroll in specialty clubs during this time. All activities help students to further develop physically, mentally and socially while having fun, making friends, and developing school spirit. Boost maintains a 10:1 student-to-adult ratio. During Boost, students will be required to complete homework assignments, excluding required nightly reading, before participating in activities. Students in grades 3-8 are encouraged to enroll in study hall when greater assistance is needed for homework completion than Boost staff can provide. Boost staff are available to answer general questions; however, these individuals are not trained to provide explicit instruction as a Currey Ingram teacher would be able to provide. Boost staff do check to ensure homework has been completed but do not check for accuracy. Even if a student completes his/her homework in Boost, parents should continue to check homework at home. To encourage continuity throughout the students’ day, behavior plans used during the school day may be extended for Boost activities. Also, Boost leaders will communicate with teachers concerning accommodations that are needed. Registration for Spring Boost Clubs is still open.